In today's episode, we talk with Sgt. 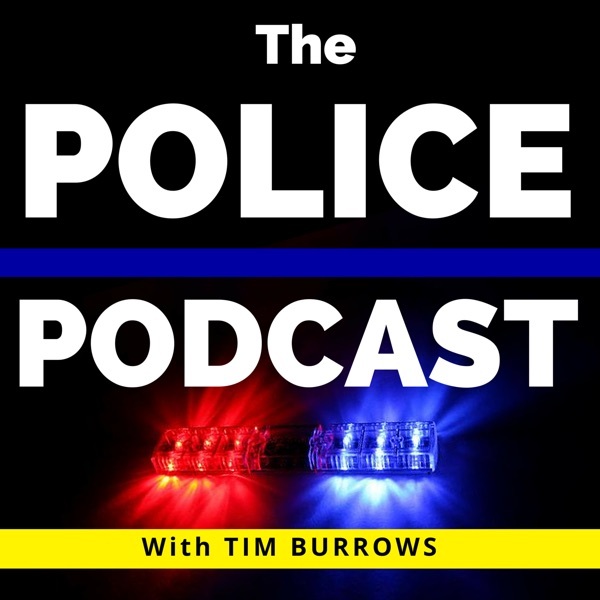 Chris Hurst of the Lowell Police Department about hitting a grand slam run with one simple video that only added to their string of home runs they have accumulated with their community outreach. The Lowell Police Department The City of Lowell is a farm community in Kent county Michigan, approximately 15 miles east of Grand Rapids. The jurisdiction is 3.1 square miles and has a population of approximately 4000. The business base is retail, dinning, fast food, manufacturing, and agricultural. The Lowell Police Department is a full time, 24 hour department. We employ 6 fulltime officers, 13 part time officers, two full time civilians on staff, and volunteer Retired Senior Volunteer Patrol (RSVP). We primarily run one car per shift. Our staff consists of a Chief of Police, Patrol Sergeant, a detective (dual role as a patrol officer), and two full time patrol officers. Because we are a small department, the Patrol sergeant is also responsible to respond to calls and general patrol. We run 12 hour shifts (6a-6p/6p-6a), with supplemental officers on the weekends as a second car in the summer on weekend evenings. Our part time staff are fully certified officers and fill in for the full time for vacations, training, and other time off. The part time officers are responsible to hold the same standard as the full time. Our RSVP personnel are seniors from our community who volunteer their time helping out the department with non-law enforcement tasks at events, property checks, and so forth. They are uniformed and use a marked department (non- patrol) vehicle. We have two Ford Explorer Interceptors, two Chevy Impala’s, two unmarked Impala’s (Detective & Chief car), a Chevy S-10 for our RSVP patrol, a John Deere Gator (for our local fair), and a former USMC motorcycle. Our vehicles are fully equipped with on board cameras and laptops. We carry the X26 Taser, the Bushmaster AR15, Freeze +P spray, and the AXOM Taser Body Cameras. We rely on the Kent County Sheriff Department for lodging our arrestees and for processing OWI drivers (Datamaster Breathalyzer). Beyond the normal law enforcement work, we are a community policing department. We unlock cars, assist our citizens with loose animals, conduct ordinance enforcement, respond to medical emergencies, conduct child seat checks, shop with a cop, our now famous “surprise traffic stop Christmas video”, conduct property checks for residents of vacation or away for an extended period of time, and assist with other problems that may arise in the community. Lowell PD also hosts a Citizens Police Academy for those that qualify. SGT Chris Hurst National Guard Duty: Enlisted in 1983 in Big Rapids, MI, retired from duty in October of 2003. I spent 20 years with the 126th and 125th Infantry Regiment. I retired at the rank of Sergeant First Class/E-7, Platoon Sergeant. I was part of a heavy weapons company and qualified with the TOW missile system, a vehicle mounted weapon used to destroy enemy armor and fortifications. I trained and qualified in an assortment of weapons and vehicle systems (Humvee, M113 APC, M901 ITV, and the ¼ ton truck (jeep)) Lowell Police Department: I was hired as a part time officer in March of 1994, then brought on as a full time officer in October of 1994. I have had multiple experiences with Lowell PD. I have been a DARE officer for the elementary and middle schools and the detective. I am currently the patrol sergeant, the firearms instructor, infection control officer, and one of the department trainers for reality based training. I am also responsible for general patrol and policing duties. I assist with the West Michigan Criminal Justice job and decided to stay after she graduated. We police the many parks in our county. "Like" the Lowell Police Department on Facebook!